Although people from all over the world are connected through the internet, there are barriers that separate those people. One of which is language. Though lots of people can speak more languages nowadays, there are only few who can read and write multiple languages. Such people are shining in their life like anything. But, there are lots of things to be translated in different languages and there is a huge demand for translators. So, internet translation job has born where people can find native translators in a minute and also they are very cheap compared to local translators. If you know more than one language you can use this chance to earn lots of money from your home. Few translation sites pay more than $0.04 for just a word. This is a basic idea that a good translator should possess. A translator should have very good reading and writing skill of the languages like a native person on which he is going to work. In most of the case, the translation job posted will be an English to other language translation or another language to English translation. It is important for a person to know English to find an online translation job easily. For few translation jobs, professionals are preferred over normal members.For example, for medical translation worker from the medical background are preferred and such professional translators are paid very high. If you are professional and looking to earn money part time search job related to your field to earn the enormous amount of money. Clients will expect very high-quality translation. So, low-quality translators cannot sustain as there will be more competition online. To join a translation job you should able to qualify the pre-assessment conducted by the online translation websites. Choose a website listed below and register on that website. Complete your profile. Try to join multiple translation sites as opportunities are always limited. Few website will ask you to take a basic test to filter unworthy beginners. Qualify in that test to get the job. Some website doesn’t conduct any test instead you can directly submit the proposal for any job. The clients will hire you based on your proposal. Most of the sites will pay you on pay per word basis and few sites will pay you on the document basis. Look at the picture given above. In the first job they pay $0.04 per word and in the second job they pay $0.02 for a character. You must have got an idea how much you can earn by translating. Quality is the key to success. No, quality no job. Clients pay such a high amount excepting quality. Few companies provide professional translation job like advertising where you will have to join the group of members and work as a team. $0.04 * 101 words = $4.04 (Average completion time – 30 minutes). So, in a day if you convert 1000 words you can easily make $40.04 working 5 hours per day at home. The rate given above is an example and time took for completion is also just for an example. Rates will very high for translation tasks for the people who have the skills to translate 100 words in 10 minutes. Become a quality translator so your profile will be listed on the top of the directory for bidding. Gengo is one of the leading translation agency, where you can earn money by translating documents which contains very fewer words. Once you register in Gengo you have to take the test of particular language combination you choose. A professional senior translator will review your work. After approval, you can start your work directly. They pay you for every word you translate. For few languages like Japanese and Chinese, they will pay you for every character you translate. In most case, you will be paid 4 cents or above for each word you translate. Translator town is one of the large translation marketplaces where thousands of clients post new translation job every day. In translation, town visitor has to become a member by registering in translator town first. After registration, you have to search the translation job that matches your qualification among lots of jobs as shown in the picture below. After selecting a job click on the job to see the specifications and requirements. If you think you’re eligible place a bid on that job. The best bidder with quality will be hired. To join translator base you have to register. And after registration, build your online resume with work sample to promote your skill and experience. Then browse on the projects and bid on verified projects. Get hired by the employer after approval. Try to get the best rating from the employer. Translators cafe is one of the leading marketplaces where you can find major translation jobs. 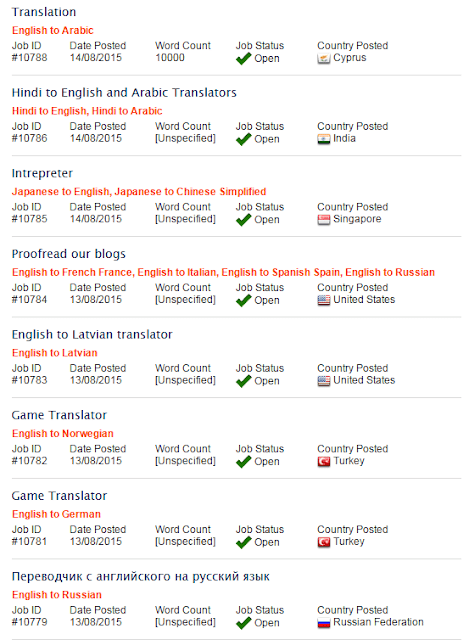 Other than translation job translator cafe offers transcription job, review writing, editing etc. It’s best, to begin with translators cafe as a beginner to learn more techniques. 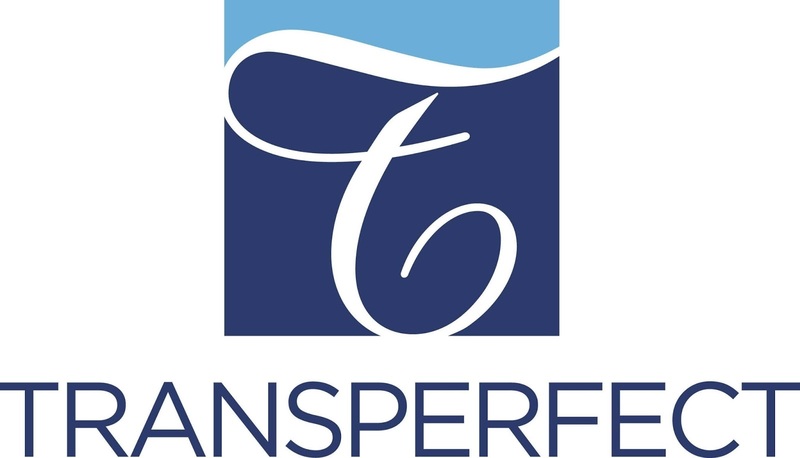 Transperfect is a professional translation company, that helps to translate the products descriptions and advertisements of multinational companies. Lots of activities are done in TransPerfect other than translation. You can join TransPerfect team by sending your name, e-mail, and phone number address to them. Tag: Genuine legit online translation job to earn money by working at home.